“UFC 158: St-Pierre vs. Diaz” takes place March 16th inside Bell Centre in Montreal, Canada. UFC Fight Club members will have the opportunity to purchase seats for the show today at 10AM ET/7AM PT. The general public will have access to the remains on Friday, January 25th at 12PM ET/9AM PT via Ticketmaster. Tickets are priced between $85 and $600. 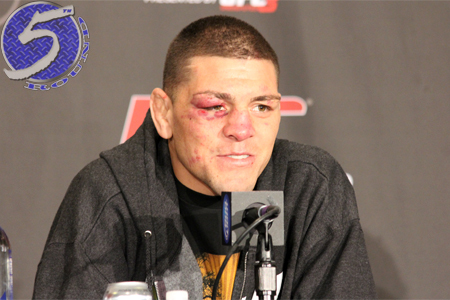 Welterweight king Georges St-Pierre defends his throne against Nick Diaz (Pictured) in the show’s featured attraction.